When a timed output is selected, the time period is set using a string of LEDs. The unit requires 2 x AAA batteries and will operate for many months without the need to replace them. 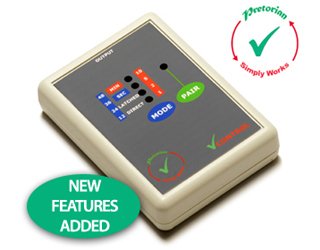 As usual with Pretorian products, there’s no on/off switch- the unit powers down automatically after a period of inactivity. Just press any button to wake it up again. 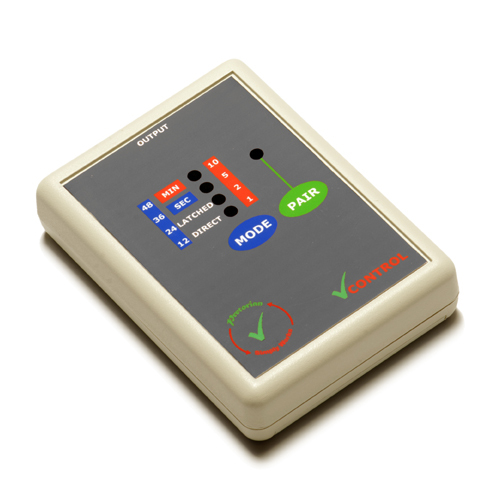 Works with any SimplyWorks transmitter to control battery operated toys or other output devices. 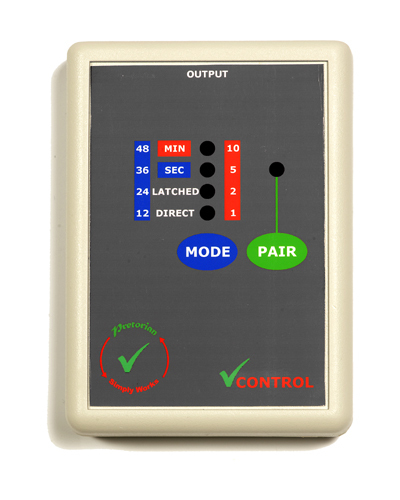 Allows up to six wireless switches to be paired to allow co-operative use.